Forensic science is a highly intriguing and complex field that has exploded on the screen over the last 20 years. 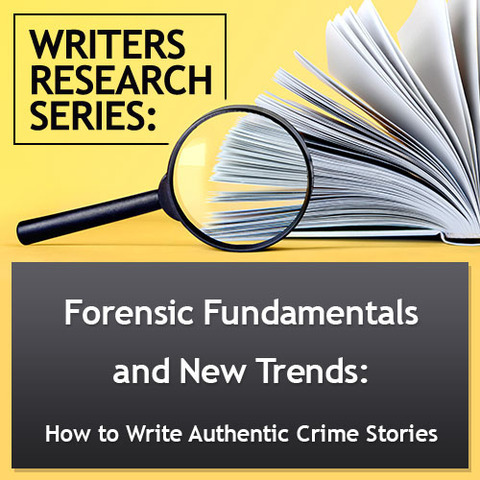 Writers who want to incorporate authentic investigative elements often find it daunting to know where to start and struggle to sound authentic and natural when writing forensics into a script. Jennifer will take you through a mini-forensic science program, much like the one she went through herself and that birthed her book, Forensic Speak. You’ll gain a thorough overview of the forensic field and discover the best resources out there. As you discover forensic shortcuts, you’ll shorten your research hours and gain more writing time! Most importantly, you will acquire ways to authenticate your work while keeping the entertainment value front and center. You’ll leave the seminar leaps and bounds ahead in your forensic knowledge. And you’ll be equipped to take your next script from generic to exceptional! Essentials of forensic science that will keep your stories fresh and captivating. 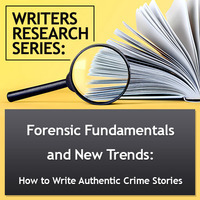 How to authenticate forensic science in your writing. When it’s okay to fabricate forensic science. How to write forensic science like an expert. Forensic elements that make your story unique and memorable. Everything you need to make your next crime story a forensic success. Writers who create crime dramas, procedurals, mysteries or thrillers from shows like Blue Bloods to movies like Prisoners. Writers who are overwhelmed with research. Writers working on their first or fiftieth crime story. Writers who want to test out these genres. Writers who are having trouble making their script stand out. BONUS: With purchase of this webinar, you will receive 20% off of a subscription to the Screenwriting Tutorials website, which has specialized tutorials from experts that explore screenwriting topics covered nowhere else on the web!